Once you get to know us, you might like to become a Rotary Friend or even to join the 1.2 million Rotarians as a club member. We will make you feel very welcome. 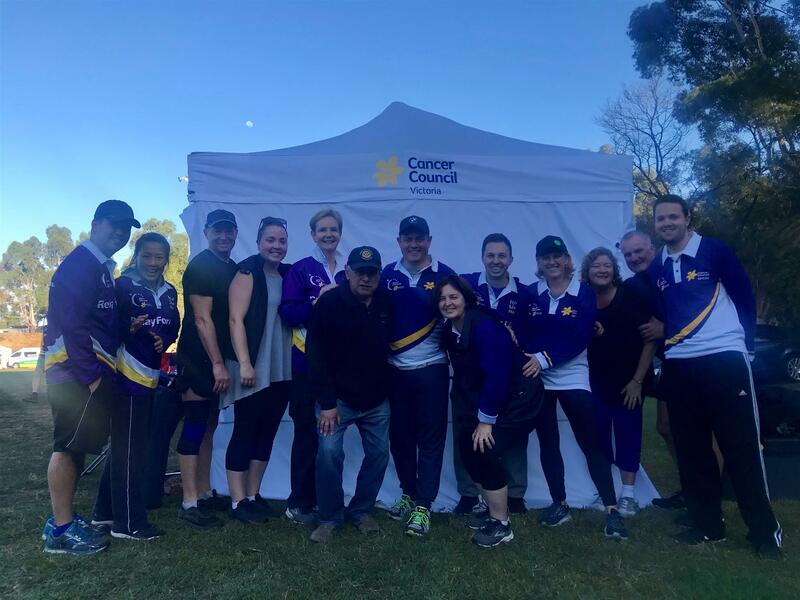 The Canterbury Rotary Club has recently commenced using the ClubRunner club management software application to manage its existing communications and IT systems. As part of the change, the Club current website has been migrated using the ClubRunner software, and this new website has been developed and published using the software. While the layout and presentation of the website will be a little different from the great work that Max Holland, and previously Peter May, achieved in preparing and publishing our website over many years, the intention is to hopefully, using the new application, provide a high level of detail on Club events, activities, projects, history, processes and stories related to the Club and more broadly about Rotary. Any feedback, suggestions and comments about the new website would be most welcome to webmaster@canterburyrotary.org. 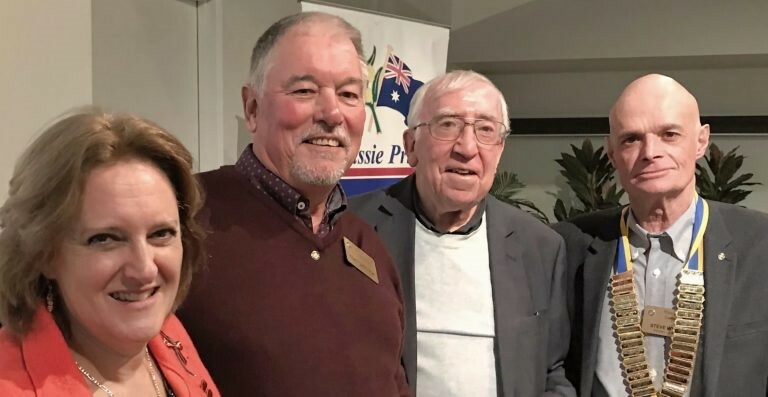 Four special presenters along with Doug Hawley provided a fabulous summary of their experiences at the 2018 eye and ear mission to the Philippines during pour Club meeting on 18 March 2019. 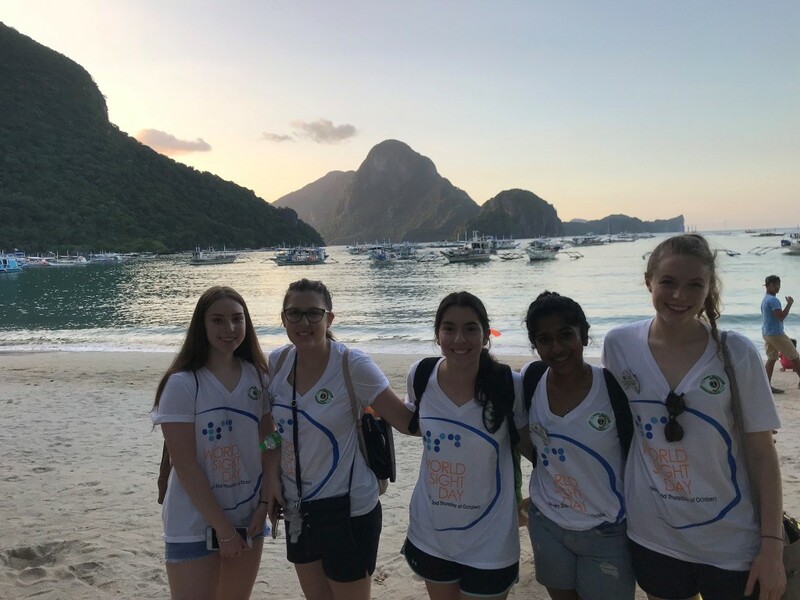 Kalanie Gunatillake, Sophie Gutknecht, Kaitlin Rust and Rachel Stin were the four Latrobe University orthoptic students, now graduates, who joined 18 other team members on the trip to the northern part of the Palawan island. They described the surgery process, the basic sanitary procedures and the beautiful moment when the bandages were removed after a successful operation and the patient could again see. They also outlined some of the barriers to healthcare in a rural country which included financial, cultural and religious and the stigma related to wearing sunglasses. The joy and the humbling nature of the experience was demonstrated when a story was told of a patient who wrote a song expressing thanks for the help provided by the eye and ear team. There were many questions and it was great that several other members of the 2018 team also came along to catch up and have a chat about another very successful eye and ear mission by the Club to the Philippines – number 22 by the Club. Monday and Tuesday this week, Bill, Ted and Steve met with Alan Newstead and Bernie Farquhar, President and President Elect, of the Mitchell River Rotary Club. We have been working with Mitchell River Rotary to provide respite trips to Melbourne for drought affected families. The purpose of the visit was to explore further opportunities to assist people seriously affected by the drought. 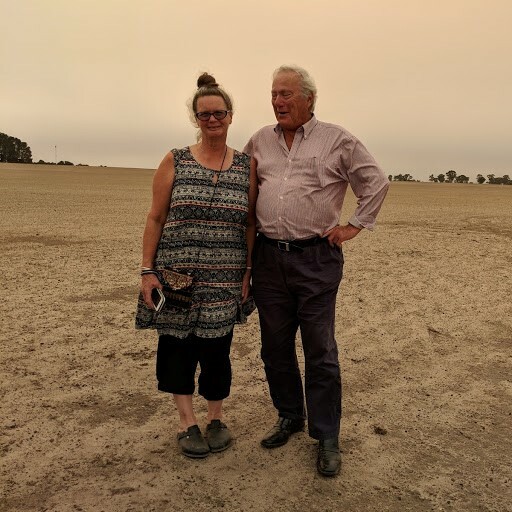 Leanne Jennings of the Bairnsdale Neighbourhood House, pictured here with Bill Granger, gave us an overview of the very serious impact the drought was having on farmers and their families. With over 70 volunteers this House collects and distributes food to the needy and serves lunches on a daily basis. With her knowledge we will target the most needy with our support. We visited three farms in their third year of drought. They are dust bowls, with the farmers forced to sell off most of their stock to survive, and desperately trying to keep some breeding stock for when they can rebuild. We were really fortunate to be able to stay with Judy and Peter Robbins. Despite their farm suffering greatly in this drought, they continue to run Annie’s Cottage at Lindenow South as a respite location for “Very Special Kids” and their families. The cottage is used 50 weeks a year. 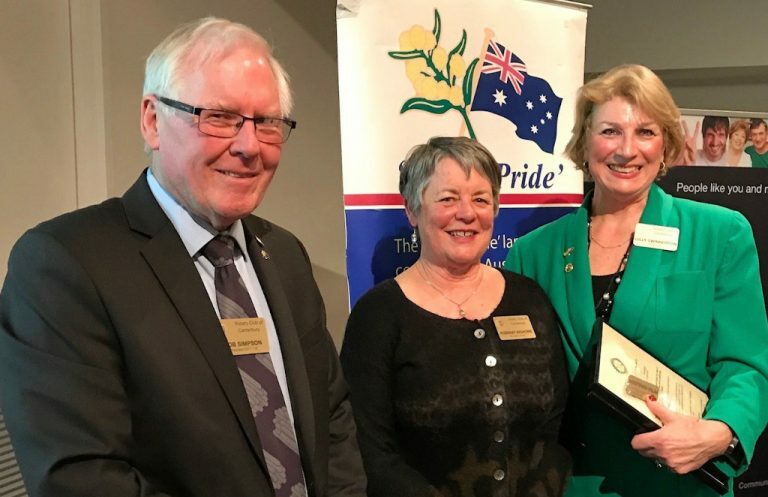 They have been volunteering their time for nearly 30 years and deservedly have been awarded OAM’s for their work. Our original intention was to see where we could help with our hands-on efforts and services but it quickly became apparent that their need was really urgent and priority projects such as fencing and dam cleaning needs to have skilled attention with specialist equipment. They also require cash for fodder, fuel and water. We thought it preferable to use Rotary skills to help fund and project manage activities. 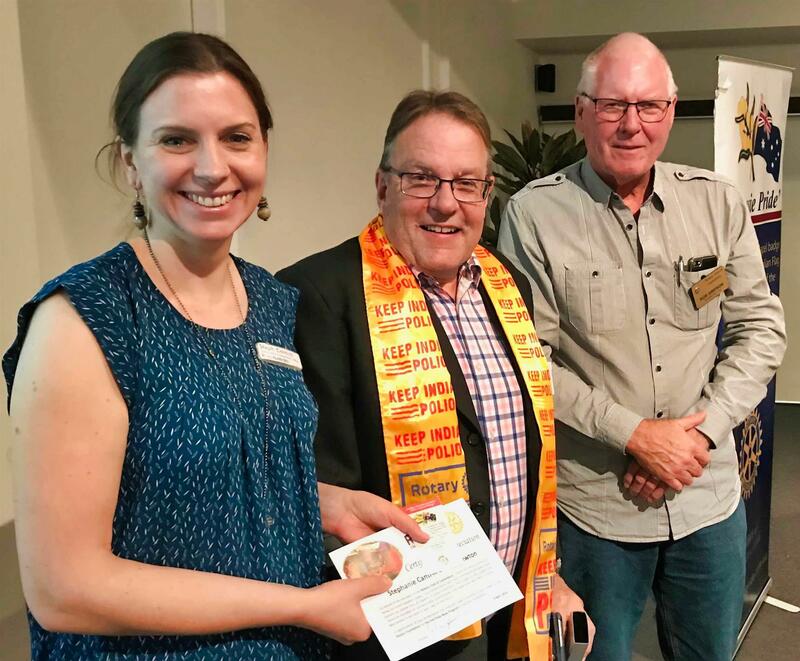 We recognise we cannot set the local priorities, so Alan and Bernie with the help of Leanne, are developing a list of projects which will draw on the $10,000 we have allocated for drought relief. We have also decided to seek a further grant from District 9800. Over the past 18 months momentum has been growing regarding the Club's FORaMEAL project. 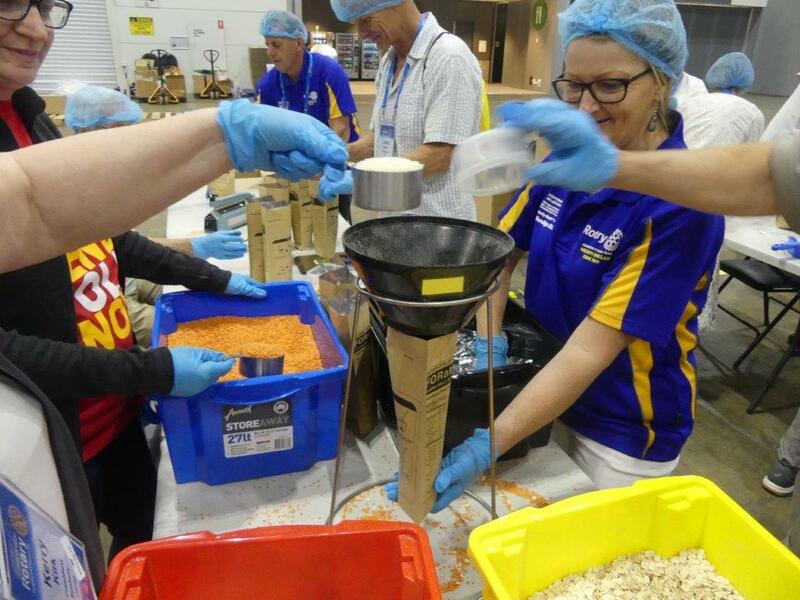 There have been a number of emergency meal packing events with the largest being at the recent Multi District Conference in February 2019 where more than 100 members, friends, rotarians and volunteers, some who registered through the Meetup app, came together to fill emergency meal packs that will provide approximately 35000 meals. A short video from the recent food packing event at the Multi- District Conference has been prepared. Please click below to see the video. The Club can now offer businesses the chance to book an event where they can promote teamwork and demonstrate their commitment to social responsibility in a way their staff will thoroughly enjoy. If they wish, we can arrange for small businesses to minimise expenses by sharing their event with another company. Natasha Facci, pictured with Rob Simpson and President Steve Wylie, was inducted by President Steve Wylie into the vocational classification of Human Resources Consulting. Natasha has already been an active contributor to our Club. She has worked on FORaMEAL food packing events and arranging for students to take part in the Rotary District 9800 Model United Nations Assembly (MUNA). The assembly is about the students building bridges of goodwill for world peace and understanding. Natasha was formally introduced to our Club by her sponsor, PP Rob Simpson. We all look forward to Natasha’s enthusiastic participation in Rotary’s friendship and volunteering activities. Austin King, here with John McCaskill and Club President Steve Wylie was inducted into the vocational classification of Project Manager. 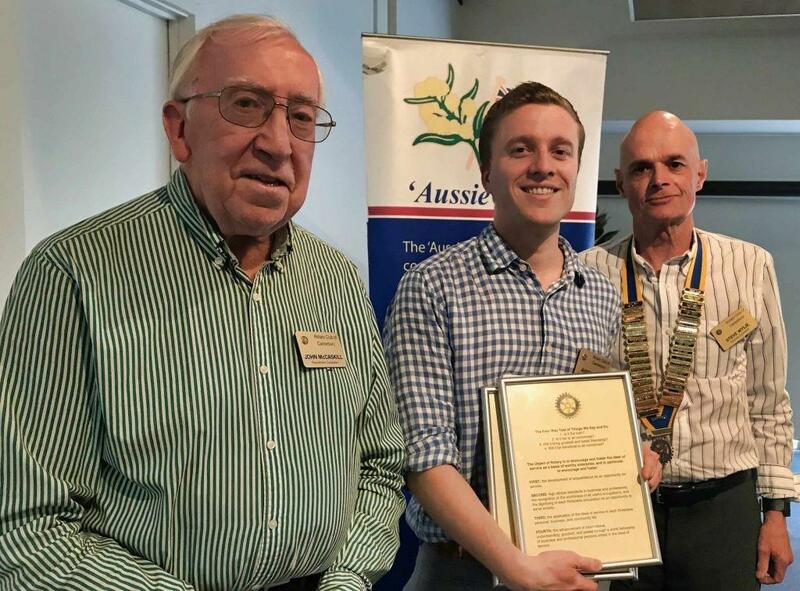 Austin has already been a very active contributor to the Club as a Friend of Rotary. At the FORaMEAL food packing night, Austin brought along a whole group of friends that were sufficient to man one of the Teams on the food packing lines. In 2017-18 then Club President Rob Simpson had the pleasure of inducting three new members. George Dolezal in the vocational category of Pastoral Care Minister; Janet Hay in the vocational category of Social Business Coach; and Ryan Bartlett in the vocational category of Personal Trainer. In 2017-18 Gilly Swinnerton was inducted by then Club President Rob Simpson, here with Rosemay Waghorne, into the vocational classification of Health Care. 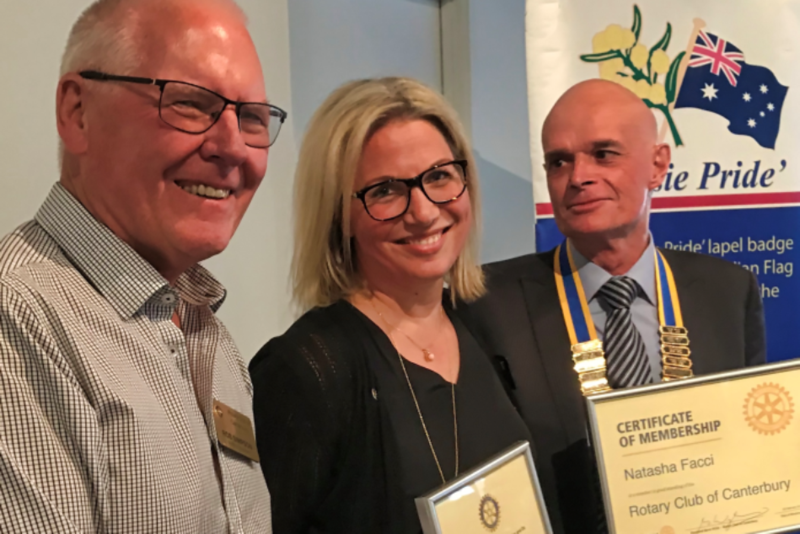 Gilly was a member of the Rotary Club of Prahran and Susie Cole, the immediate Past President of that Club, came with Gilly for her induction. For 2018-19 Gilly has taken on the role of Program Director.